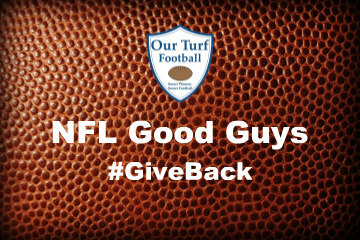 Our Turf Football loves to share stories of the good works being done in our communities by teams and players in the NFL. Today’s story comes from the NFL Foundation, which has announced recipients of the Legends Impact Grant. This grant recognizes the outstanding and ongoing philanthropic efforts of NFL Legends. Press Release: ​A new component to the NFL Foundation’s Player Foundation Grant initiative, the Award supports NFL Legends’ commitment to making their communities healthy, happy, and safe through their non-profit foundations. NFL Legends ALAN PAGE, BRUCE HARPER and STEVE YOUNG were selected as the inaugural winners, and were awarded $50,000, $40,000 and $30,000, respectively for their foundations. In 2018, the NFL Foundation awarded $830,000 in Player Foundation Grants to support 68 non-profit foundations led by current players and NFL Legends.